Aerodynamics is a key point on any vehicle and in particular, 1/10th off-road vehicles. A driver’s aero package consists of the vehicle type, body style and finally the finishing touch, the front wing. JConcepts regularly experiments with aero features throughout the entire product line, primarily bodies and wings. Front wings are not a new concept; however, they are new to the latest generation of 4wd buggies and demanding high-speed and grippy circuits. 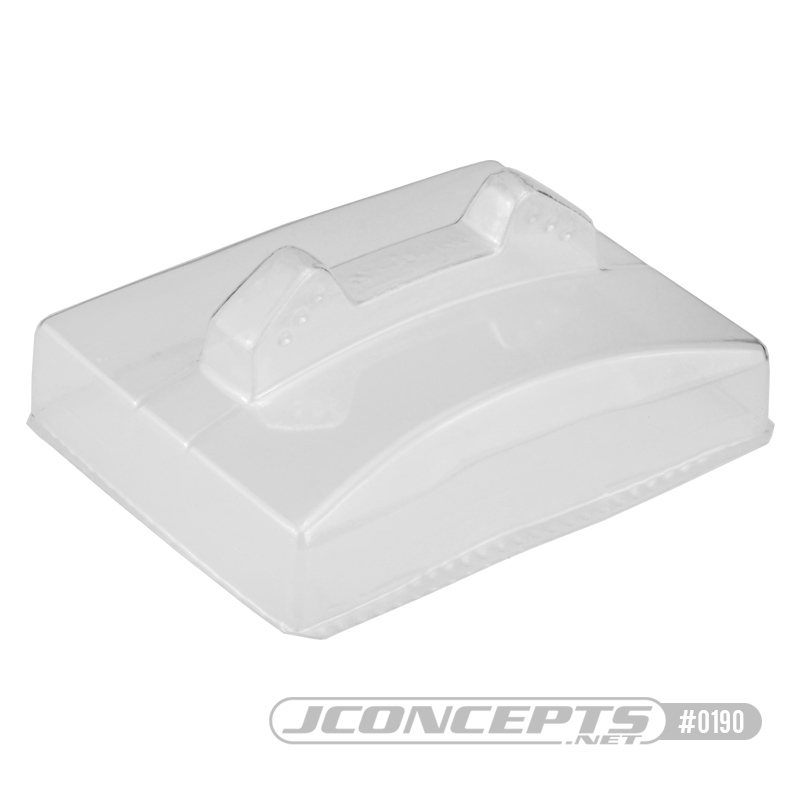 JConcepts, together with their pro racing team of drivers, developed a new high-performance, adjustable front wing. Mounted above the front shock tower on the Yokomo YZ4-SF vehicle, the Aero front wing mounts in “clean air” and is quite easy to trim, use and test without sacrificing all important track time. Available in 2 widths, the driver can choose either the “narrow” for a lighter feel or “wide” for heavier down force. The Aero wing features a high-attack design with trim-able rear gurney options. A radical, edgy design which functions and compliments the Finnisher and Silencer body design includes elements and features fresh for the latest off-road conditions. Cut lines are included for easy trimming while triple wing mount dimples are included for a bolt-on fit to the popular Yokomo YZ4-SF vehicle. The leading center section of the wing has been formed into a unique V-shape to perfectly outline the front shock tower geometry. Complete your aero package with JConcepts – World Proven Innovation and Design. The JConcepts front wing mounts just behind the front shock tower and is clinched between tower and shock mounting screw. The front wings feature aligned holes for each shock position; however, it is only necessary to cut holes for the location chosen at that time. It’s not recommended to use thread locking compound near polycarbonate material due to a potential conflict.